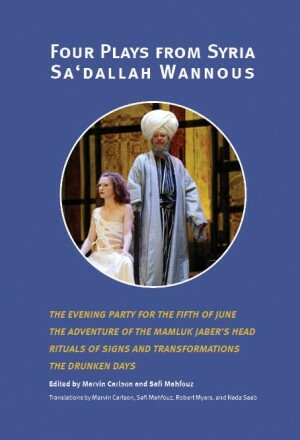 Sa‘dallah Wannous, generally considered the leading Syrian dramatist of the twentieth century, was selected in 1996 by UNESCO and the International Institute of Theatre as the first Arab playwright to deliver the keynote speech on International Theatre Day. This collection contains four full-length works, available in English for the first time: Rituals of Signs and Transformations, The Evening Party for the Fifth of June, The Adventure of the Mamluk Jaber’s Head, and The Drunken Days. Together they represent almost thirty years of Wannous’s remarkable career, and indicate the range of his political, social, personal, and metatheatrical contributions to modern drama.